The Y-3 Super Knot Sneakers are the brand new iteration of the classic adidas Superstar signed by Japanese designer Yohji Yamamoto. By now, we all know the motive behind Yohji Yamamoto’s designs. The provocative designer is famous for his unique take on the future of fashion. If you don’t want to waste your time, buy the Y-3 Super Knot sneakers online now. Straps, zippers, functional materials, and sharp silhouettes are just a few of his staples. This sort of utilitarian approach isn’t quite unique to Y-3, the now-famous partnership with adidas (check out the Stan Zip, a zippered version of the classic Stan Smith). In fact, we see an increase in similar strategies by more and more brands. But, there is a unique vision with which Yamamoto’s work presents itself. The Y-3 Super Knot Sneakers, if anything, are actually straying a bit from that notable futurism. Still, the quality is unmistakable. Generally, Y-3 sneakers are a marriage between the visual and the pragmatic. Combining materials in an intriguing pattern or shape, each sneaker takes a bold look into the future of fashion. The Super Knot strays a bit by dialing back the futurism. The upper here is in a premium suede. We also see a luxurious leather on the tongue, boasting another interesting detail. Some of Y-3’s bolder branding efforts are on this tongue section, yet another example of something we don’t see very often from Yamamoto. The visible branding makes for a nice touch on an otherwise subtle build. If that’s not quite brash enough for you, the lateral “Yohji Yamamoto” print is in a Gold font. 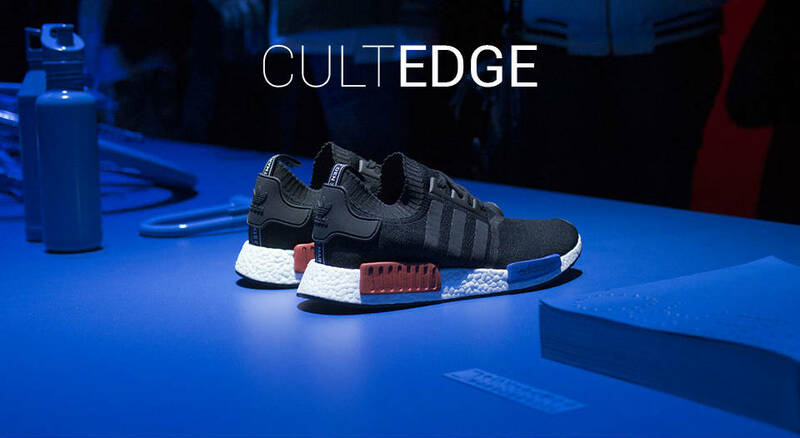 The partnership with adidas, and its subsequent success explains this sneaker’s similarity to another model. The shape and shell-toe remind us of the Superstar model, one of the brand’s most iconic pieces in the catalog. Though this is a shoutout to an old-school favorite of Yohji’s, there are some signature modernities. The upper’s suede construction also boasts a single-trim finish throughout the shoe. The Superstar receives an appropriate upgrade here. Yohji’s efforts on this design show a strong understanding of what makes this shoe so memorable. Previous designs include swapping the leather for a knit construction. But, this sort of drastic swap comes across as a tad bit too desperate to jettison the sneaker in the future. In contrast, this Y-3 Super Knot uses the same philosophy that made the sneaker such an icon and gives it a noticeable but appropriate twist. Most of the larger sneakerhead community find themselves approving of the Y-3 look more often than not. After all, there’s enough variety and quality to go around. Despite the hefty price tags, there’s a sense of heat that follows Yohji’s footwear every year. But, an even stronger indicator is how considerate his work is. Looking at this Super Knot, it’s safe to assume that we’ll be seeing more impressive shoutouts. Y-3 has been an adidas partner for quite some time now and that connection seems to have fostered a mutual understanding and appreciation. adidas continues to experiment with the sport-leisure area of fashion while Yamamoto’s designs never quite overtake the Three Stripes aura. There are very evident design features in adidas garment releases that take on some of the unique futurism we see from Yohji. At the same time, we can assume an old-school adidas model won’t be getting “distressed” anytime soon. The color scheme on these Y-3 Super Knot sneakers is about as easy to match with as you like. A lot of us are looking at another month or two of some fairly dreary weather. But, what better way to defy the cold then to step out in your All-Whites anyway? The Y-3 Super Knot Sneakers in White are currently available to buy at stores like Slam Jam Socialism, Ssense.